Buying a new pool can be like buying your weekly shopping at the supermarket or investing your hard-earned cash in the property market, depending on the type of pool you are looking for. There are dozens of different types available, from ready-boxed versions from the supermarket, costing less than €500.00, to fully bespoke, luxury shaped lagoons with ambient lighting, a bar and attached Jacuzzi large enough for the entire neighbourhood to use. You may have an idea what you are looking for before you start, you may just see something that catches your eye that you like the look of, you may have absolutely no idea whatsoever, either way here are 10 things to look for when considering buying a new pool. This had to be number 1. It doesn’t matter if you are going to have an in-ground pool or an on-ground pool, the most important factor should be quality. Your pool is made up of several parts: the structure, the filtration and the white goods (skimmers, inlets, lights, fixtures etc). All of these parts are important and should be of the best quality available, spare parts should be readily available and guarantees should run for as long as possible. You are always best to trust name brands and buy something that is made to last. Cheaper products designed with inferior quality components will have a shorter lifespan and don’t forget that the pool has to be able to withstand changes in the weather; temperature fluctuations, sometimes as much as -30 degrees to +30 degrees; and it will be bombarded with all kinds of chemicals, which can have a detrimental effect if the balance of the water is not right. Wherever you buy your pool, make sure the vendor is helpful and gives you all the advice you need. Ensure that someone is on hand to deal with problems or warranties, should anything go wrong, and make sure you get everything you need to be able to enjoy your new pool for years to come. Local planning permission is obviously important, because if you are told you cannot have a pool or there are special requirements or permits required, you need to know about these before you spend any money. However, the other sort of planning is the overall job itself, and this is equally important. Is there sufficient access for the digger or lorry delivering materials? Can any spoil be spread or used for landscaping or does it have to be removed? How you want it to look when it’s finished? All this will be dependent on the planning, so think about this BEFORE you spend any money. This is an important issue in France at the moment and there are particular specifications laid out for AFNOR-approved systems since the change in the law several years ago. You should consider the security of your pool as an important factor of initial purchase as it will affect both its appearance and the way you use it. For example, if you have an automatic cover, this can do the job of both a summer and a winter cover, and they are available conforming to the AFNOR standard. If you buy standard covers, however, you will still need an additional security device such as an alarm or barrier of some description. Of course, no security device can replace vigilance of a responsible adult. Most accidents involving children in pools this year happened in pools that had a security device of one form or another, and ALL the fatalities occurred due to negligence. There are many different kinds of sanitiser you can use in your pool The normal choice is chlorine as it is the most widely available, you can even pick it up at your local supermarket. Salt is another popular option, however, and fairly automatic so it requires less handling of chemicals. However, it should not be used as an alternative to chlorine, as the process of electrolysis converts salt to chlorine although there is less available free chlorine in the pool. Alternatives to chlorine that are preferred by people who have exzema, psoriasis or other skin complaints are bianguides such as baquacil or copper treatments such as Pristine Blue which has recently received a seal of approval from the UK Allergy Association. There are also UV treatments and ozone but remember to make sure you know what other costs are associated with water treatment – some of these options will require expensive equipment in order for them to work correctly. If your pool is only going to be used by yourselves, friends and family, a standard filtration and sanitisation system is fine. 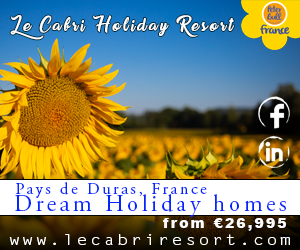 However, if the pool is going to be used by more than one family at a time, particularly in the case of gîtes or campsites you are going to require a more efficient system that keeps the water in a sanitary and balanced state much more strictly than normal. In this case, there are specific requirements for filtering rates, automatic chemical dosing, water changes, showers, footbaths and much more that must be adhered to. For more information regarding these regulations for pools in France consult the DDASS in your department. 6. When do you want to use it? If your pool is only going to be used several times a year during the hottest months, you should choose something on-ground and save yourself a lot of money, time and heartache. If you are not going to be able to maintain the pool, you need something that can be emptied and refilled at the beginning of every season. If you are a keen swimmer and want to use the pool as much as possible, solar or heating provided by a heat pump can extend the swimming season and allow you to get the most use out of your pool. In-ground pools can be supplied with covers that keep any heat in and can be put on or taken off with the turn of a key. There are many sorts of pool structure, which all have things for and against them. Fibreglass pools are generally considered one of the best but can also be one of the most expensive, though there are different qualities available, so prices vary greatly. Fibreglass pools are often more difficult to install and unless the lorry has its own lifting equipment and can park right next to the proposed pool location, you will need a crane to put it into place. Concrete pools have been a favourite of builders and some pool companies for decades, and there is no doubt about it, several hundred tons of concrete is a fairly permanent fixture. They can be tiled, lined or rendered and painted but normally cost more than the more modern pool kits to install due to the amount of material and man hours required for construction. Kit and liner pools are the most popular and widely available designs today. The structure can be made of resin, polystyrene, wood or metal with dozens of different methods of construction. They are easier to transport and quick to install ,with many installations only taking a week or so. Liners are guaranteed from 10-20 years and providing they are looked after properly this kind of pool will last as long as any other sort of construction. This is something you should consider and depends on a few factors. On-ground pools cost considerably less than in ground pools, particularly as they do not require any additional security system in France. They generally hold less water so therefore need less chemical treatment, and accessories are normally cheaper too. There are three main types of on-ground pool: wooden, metal panel or vinyl liner and tubular support. Some look nicer than others but all have their place. For example you are better off buying a cheap on-ground pool to last for a season or two and waiting to get the right pool for you, than buying a pool from the installers free in the coming season. Where you want to put your pool may have some bearing on the type of pool you can have. The best place to put an outdoor pool is somewhere it is going to have the sun on it all day; it should be somewhere that compliments your property; and it should be easy to use and get to for maintenance. If the location is on a slope you may need to consider the additional expense of excavating, building supporting walls and then building up around the pool to support the structure and do any terracing. You may think it strange that the cost of the pool is at number 10 but most people already have a budget in mind, so this is probably the least most important thing to consider. Having said that, there is no harm in shopping around once you know roughly how much the type of pool you like is going to cost you. But don’t forget that a pool is normally considered a luxury item – and the finer things in life don’t come cheap! 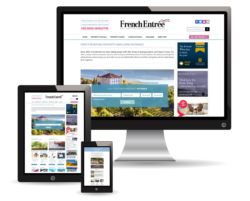 Read the best of FrenchEntrée each month by registering for our French Property, Home & Life Newsletter.